It's been a while since I came back home from Brazil (more than a month already! 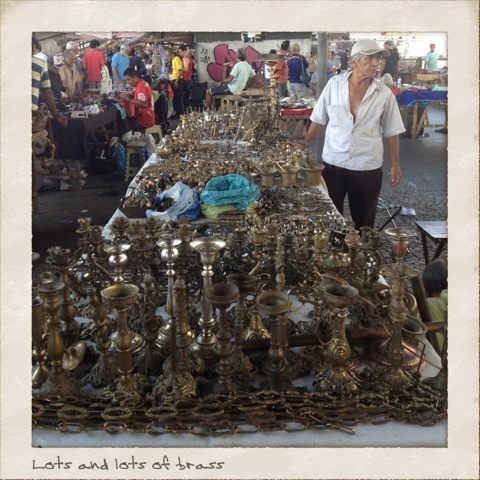 ), but I wanted to share my experiences at a flea market I visited while in Rio de Janeiro. 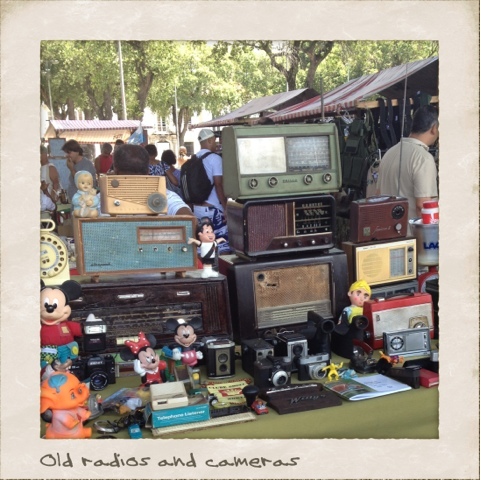 Every Saturday morning, many vendors set up at Praca XV, Downtown Rio to sell vintage and antiques. I had a great time talking to them and browsing, but didn't buy much. Prices were very high... I got a few things for myself and a couple of items for the shop. Overall, it was very nice. I hope I can go back on my next visit. 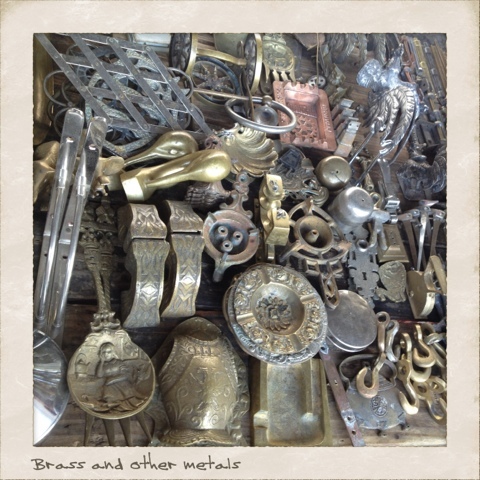 Am loving the brass items - so ornate and beautifully aged! I love the radios - both the avocado colored one and the blue and brown one but my favorite is the old register. Wouldn't that make fantastic decor in an office somewhere? Wow! I'm jealous. 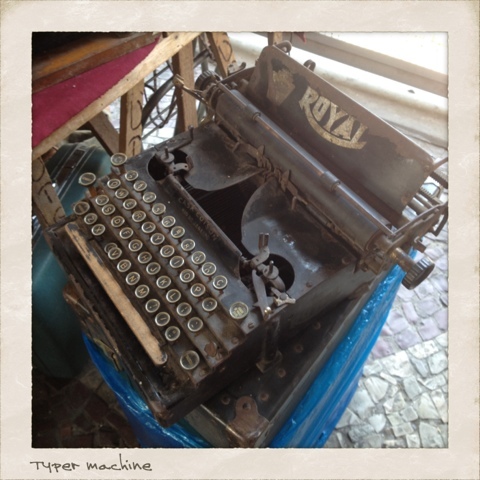 Love that old cash register! 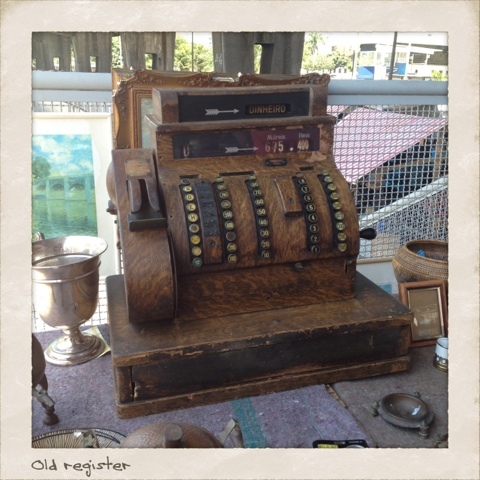 Loving the old register as well... superb! Wow, looks like an amazing market! Love the photos! Looks like so much fun!